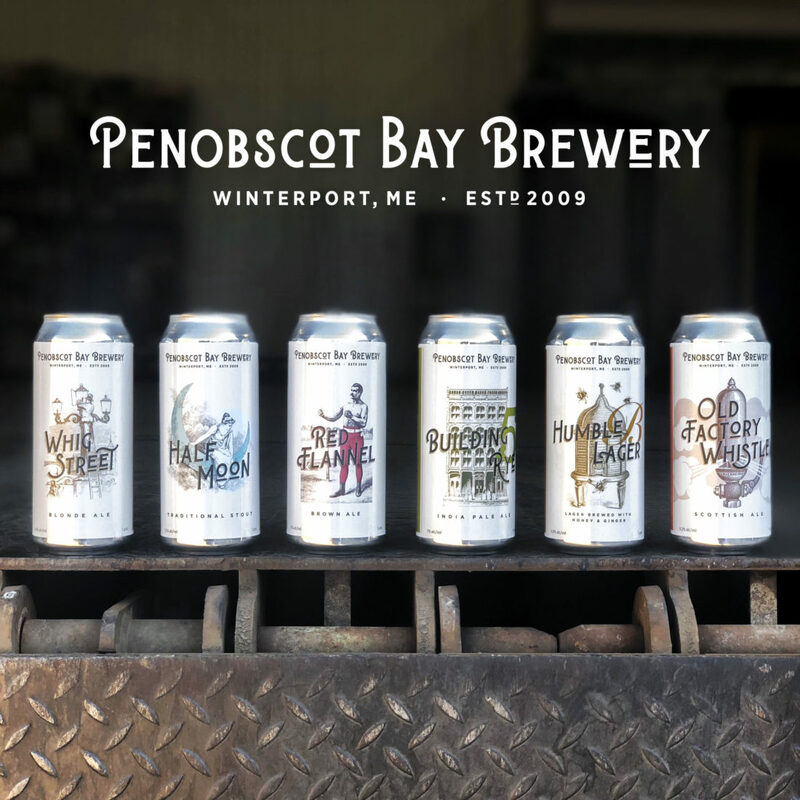 Penobscot Bay Brewery, an award-winning, small batch brewery in the historic village of Winterport, Maine, recently approached Hydrogen to rethink their packaging for a new retail line of canned beers. We found an amazing story at the heart of each beer variety. From historical landmarks to legendary craft brewing techniques, we created a rich visual and verbal palette for the new line including the beer label design system, a logo refresh, coasters and point of purchase materials. To honor the seafaring heritage of Winterport as well as the craft of fine beer making, Hydrogen contrasted vintage engravings with more contemporary techniques of vector illustrations, spot colors and modern typography. The system provides uniformity at shelf, while allowing the unique story of each beer to shine through. Storytelling continues on the back label, including quotable toasts of wisdom for drinkers to discover.